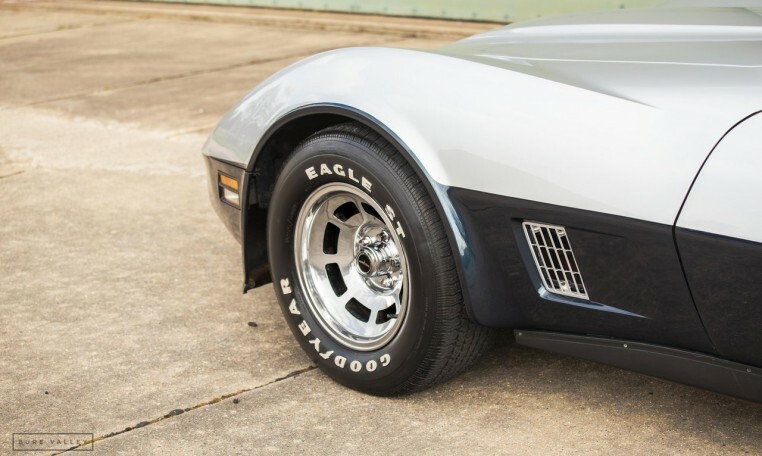 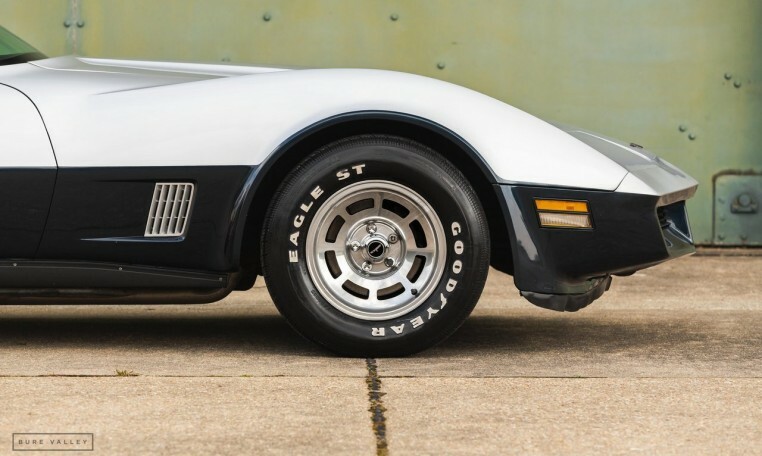 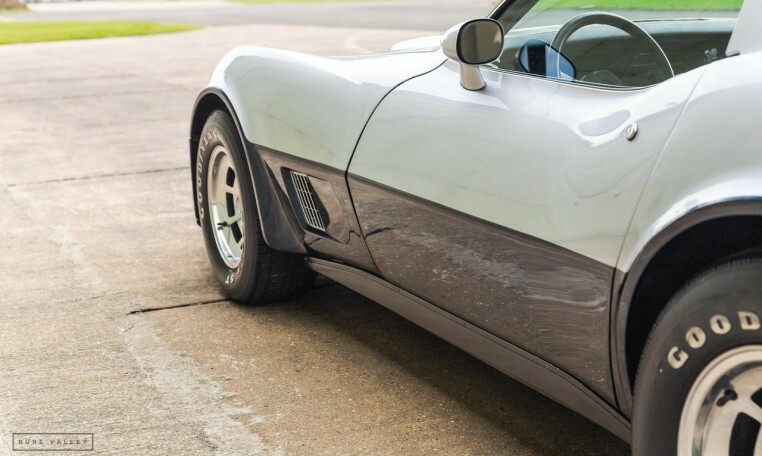 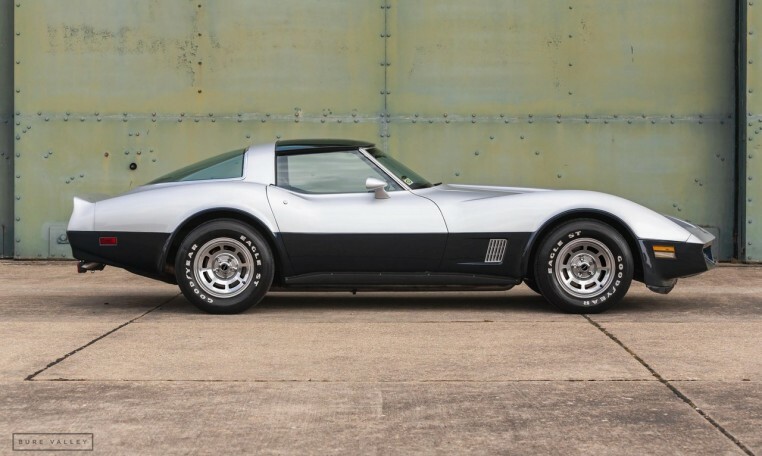 A rare find with such low mileage and in superb condition, we are very pleased to present this well optioned C3 Corvette. 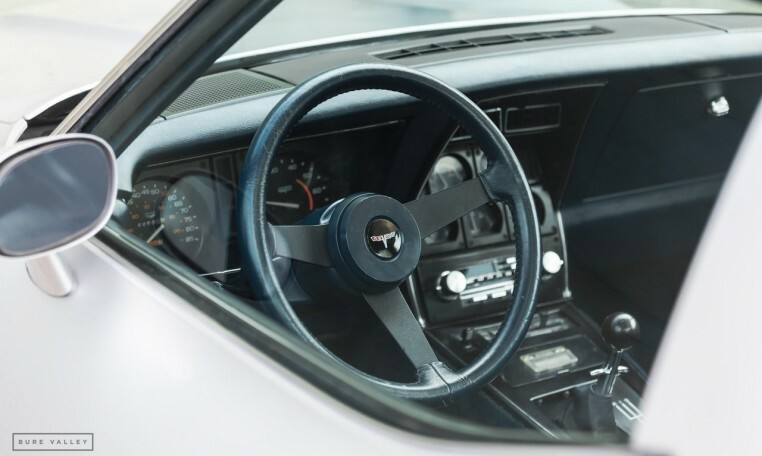 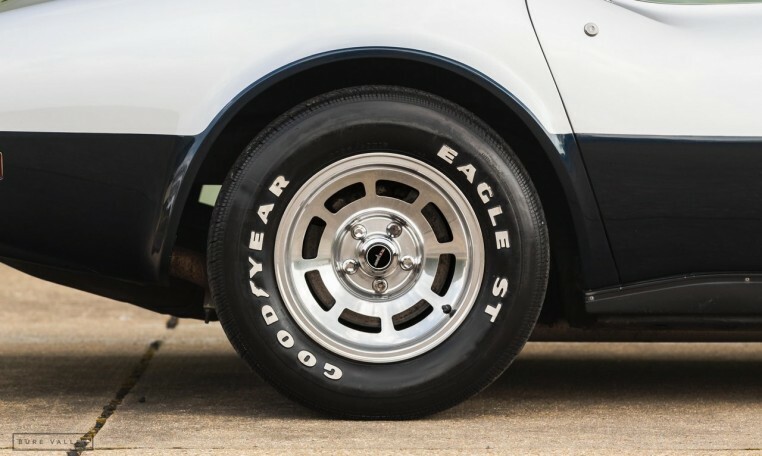 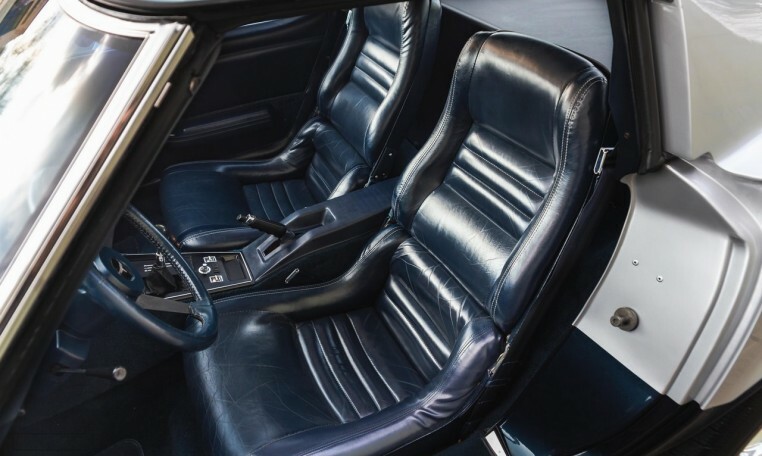 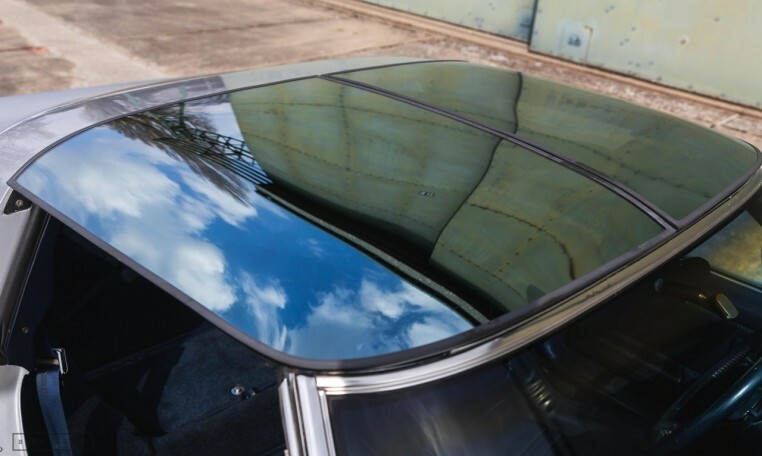 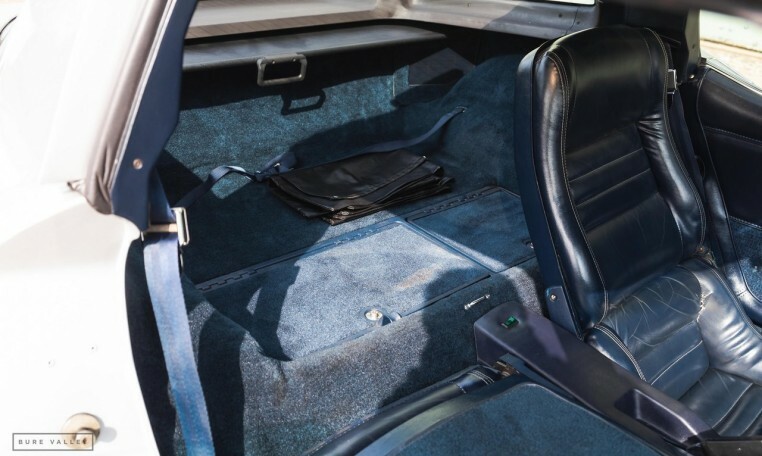 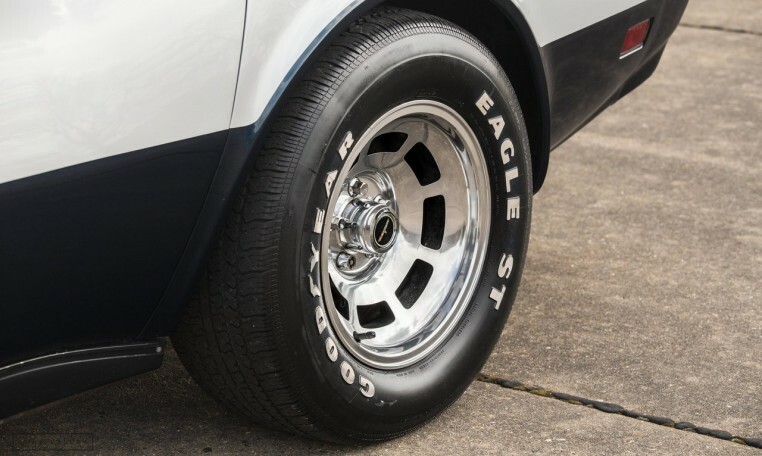 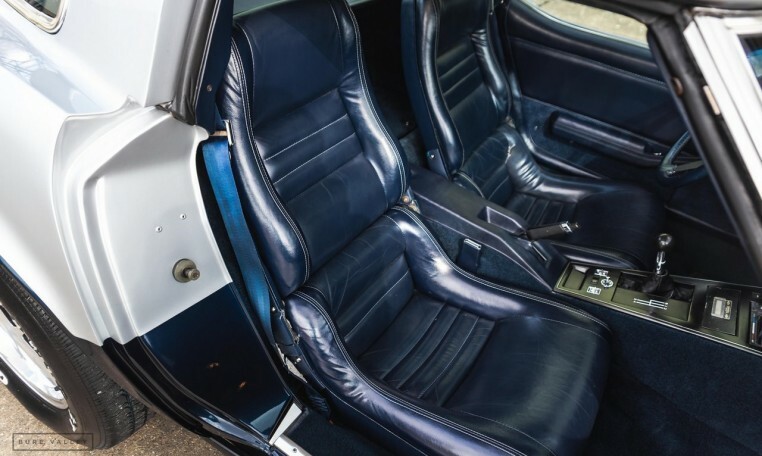 Presented in metallic silver over dark blue, with dark blue leather interior, just as it left the ‘Bowling Green’ Kentucky factory in 1981. 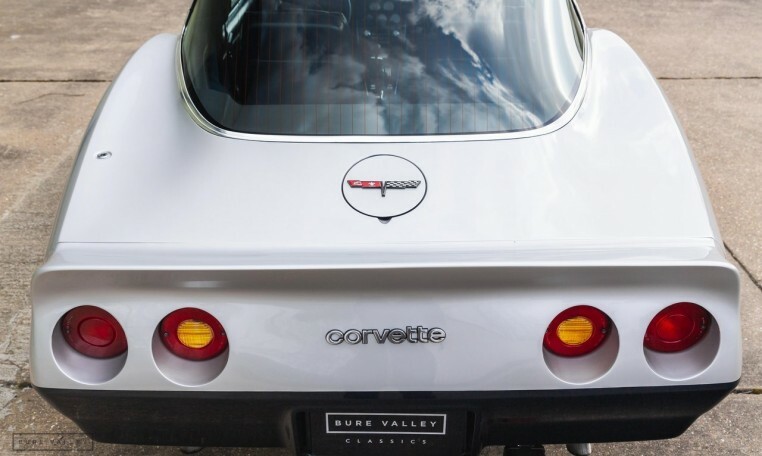 This car has the original 350ci (5.7L) V8 small block engine and a 4 speed manual gearbox. 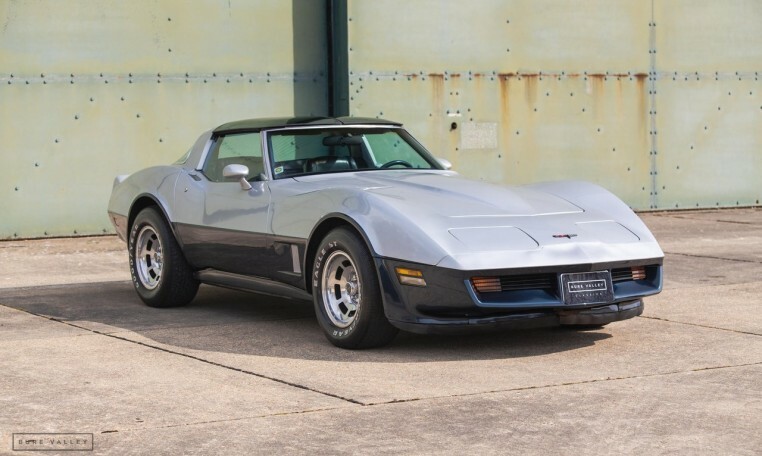 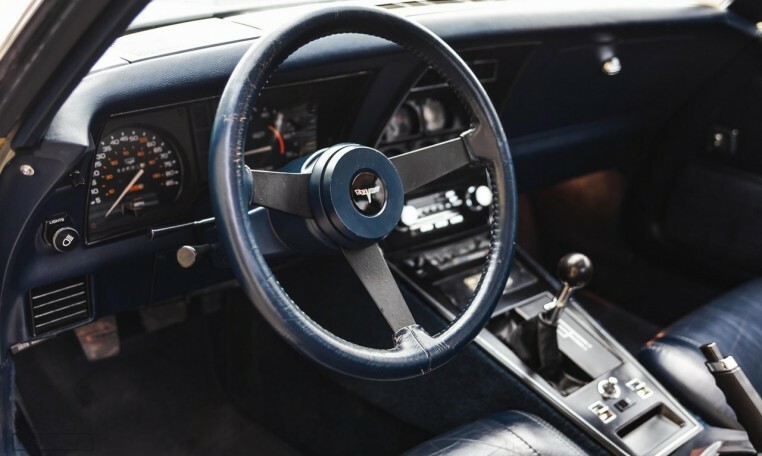 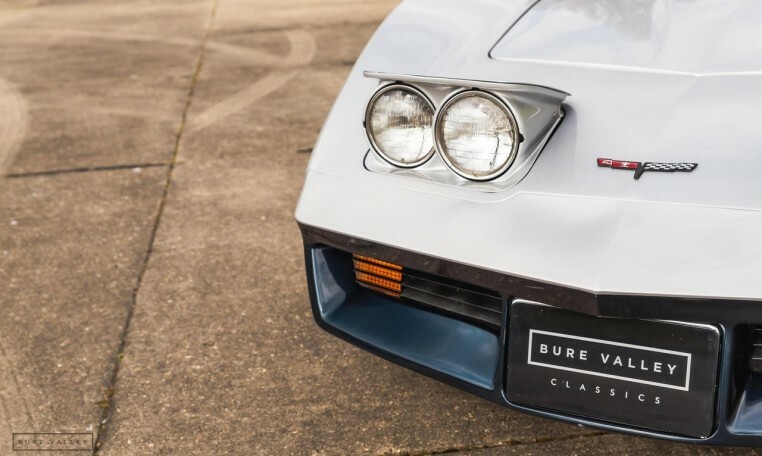 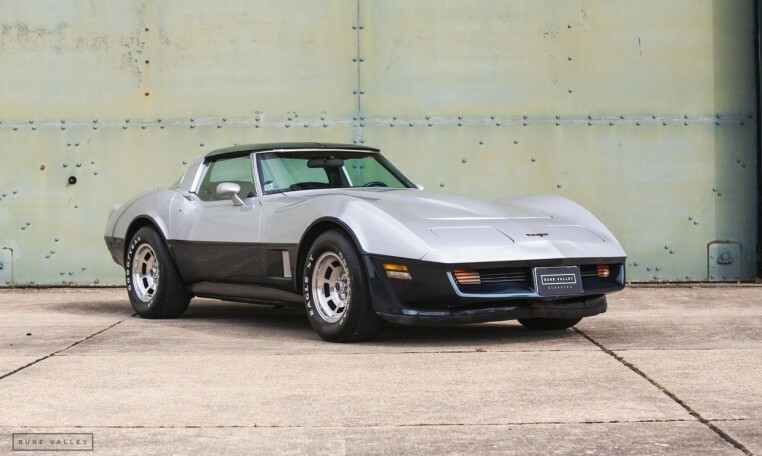 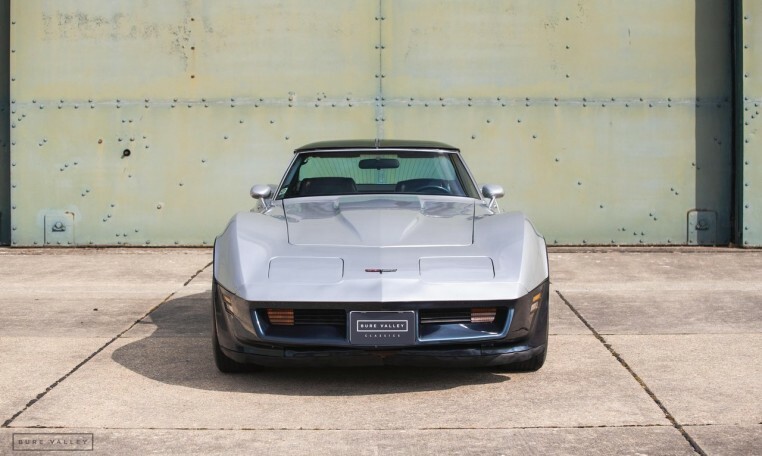 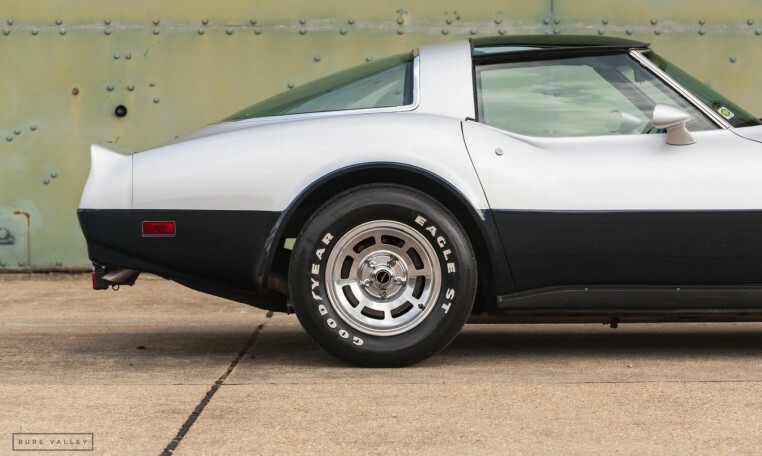 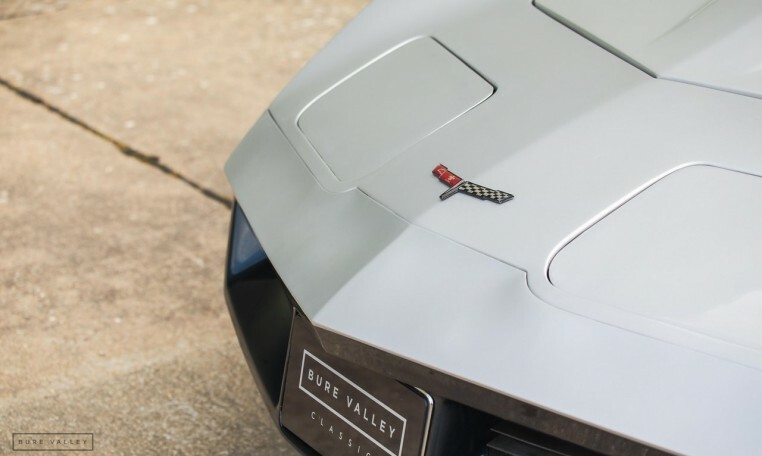 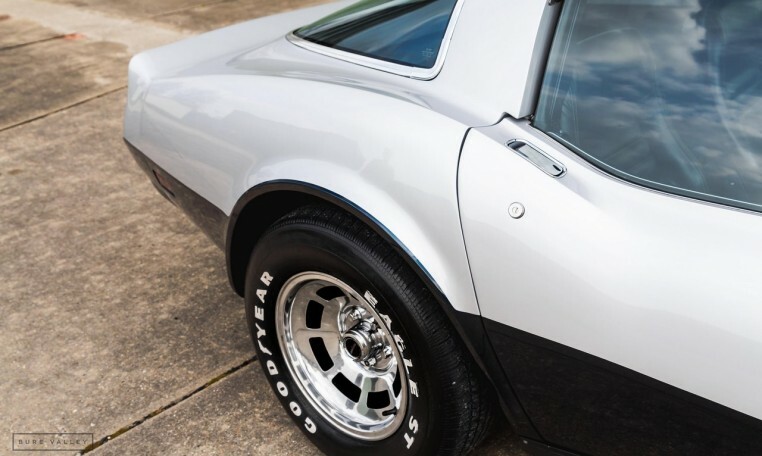 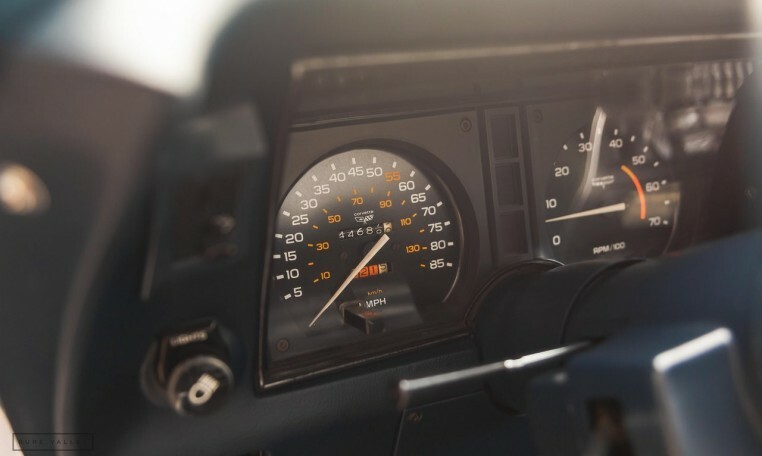 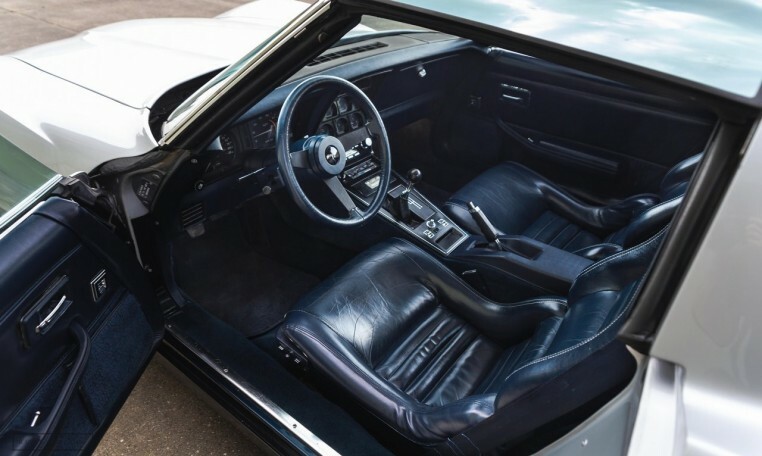 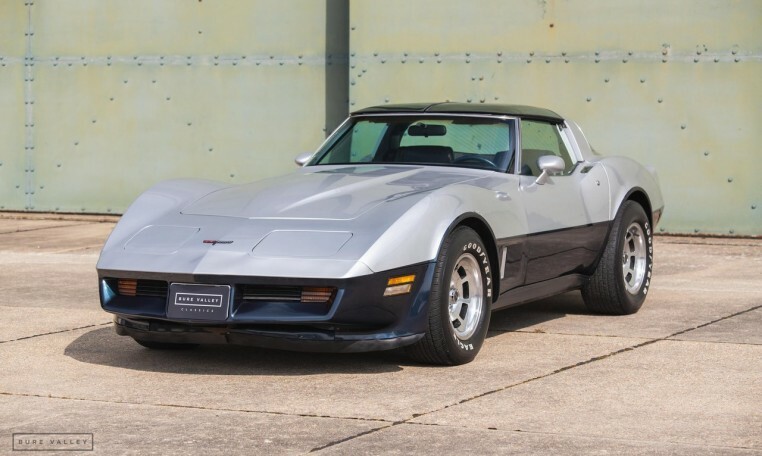 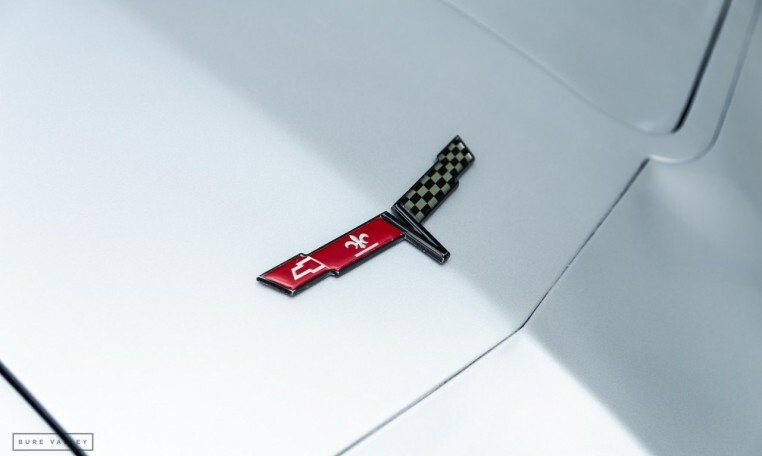 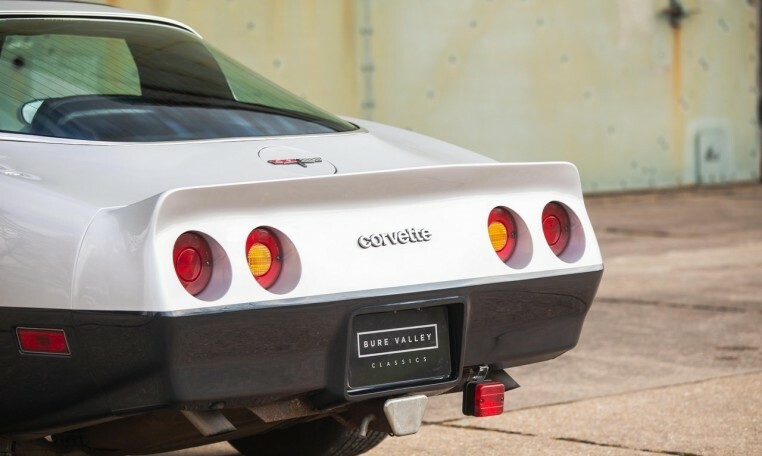 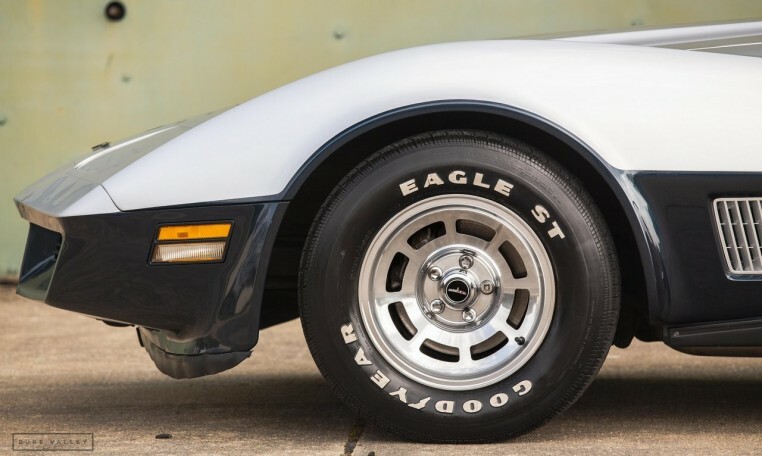 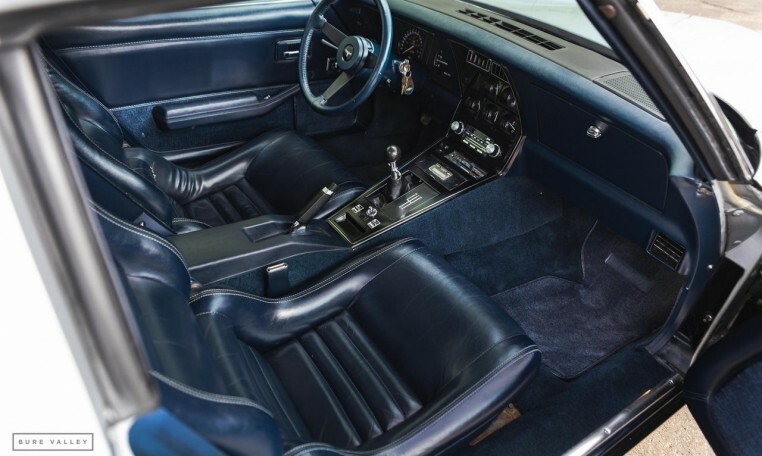 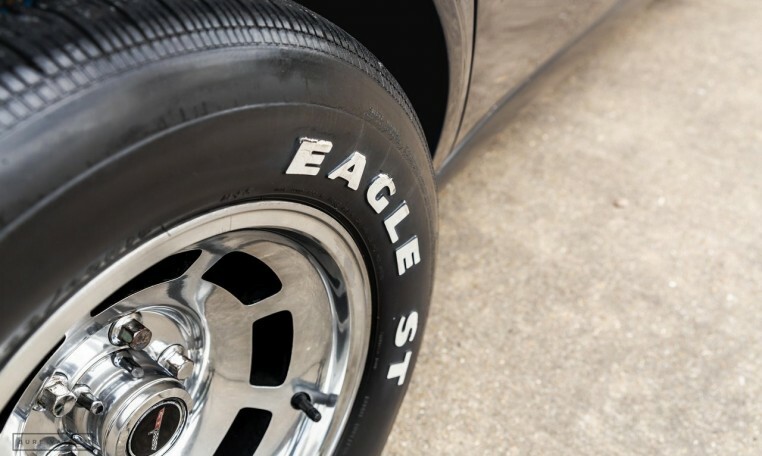 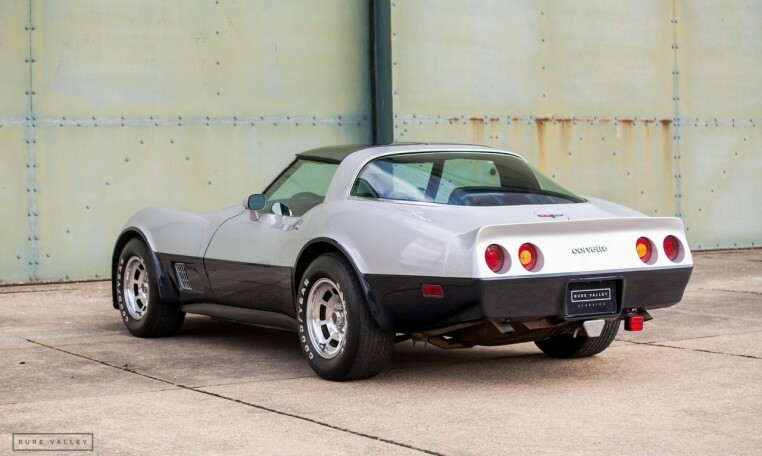 The car spent the first 8 years of its life in Newport Beach California before being sold by Greg Williams of Coast Corvette, (Corvette specialists of 40 years plus and still trading) based in Anaheim, Orange County, who shipped the car to the UK in 1989. 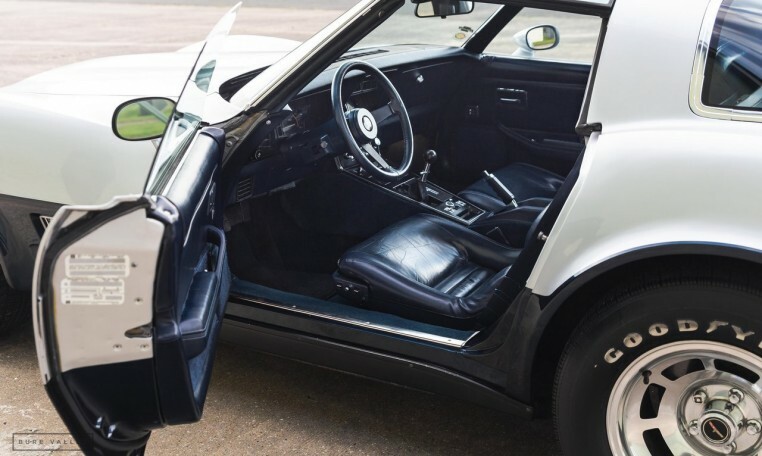 Since then it has had three owners in the UK (all documented) and has now covered a total of just 44,000 miles. 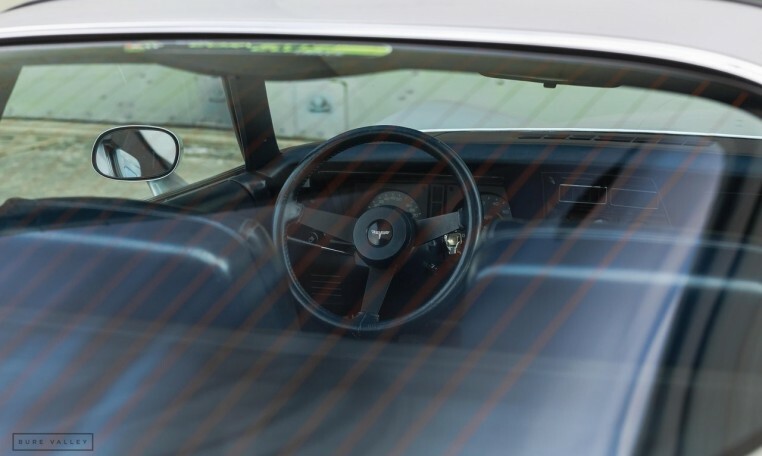 All the original documentation is still with the car (owners manual, US Title, first warranty docs, maintenance schedule, pre delivery inspection sheet and even the original stereo manual which is still in the car and working!) 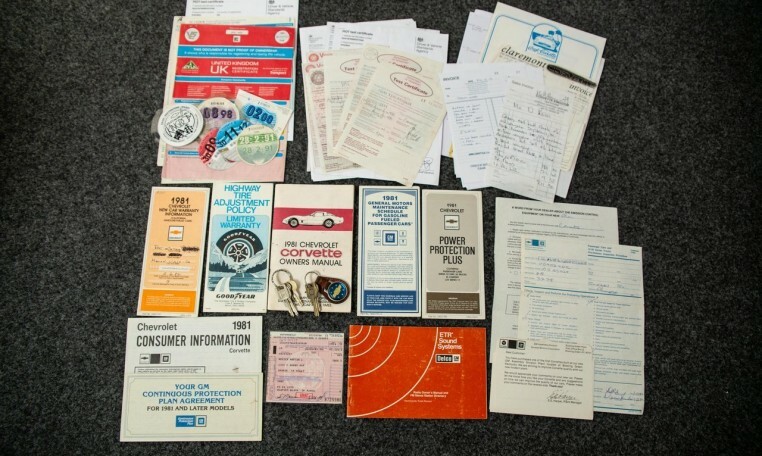 along with two sets of original GM keys. 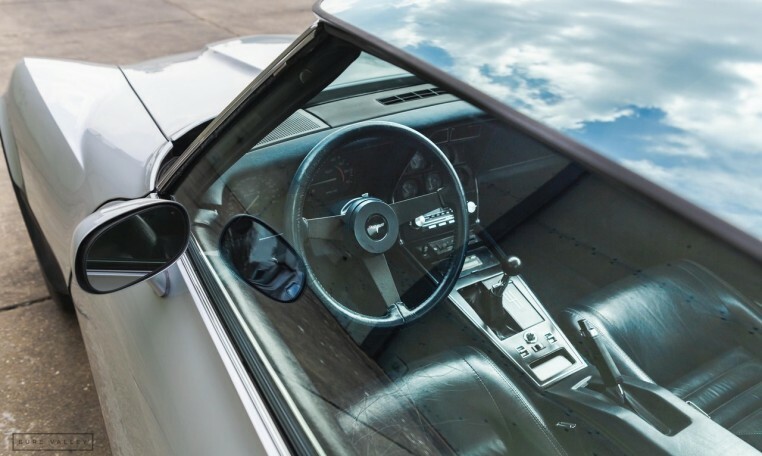 The car runs beautifully with everything working as it should, including the electric windows and mirrors. 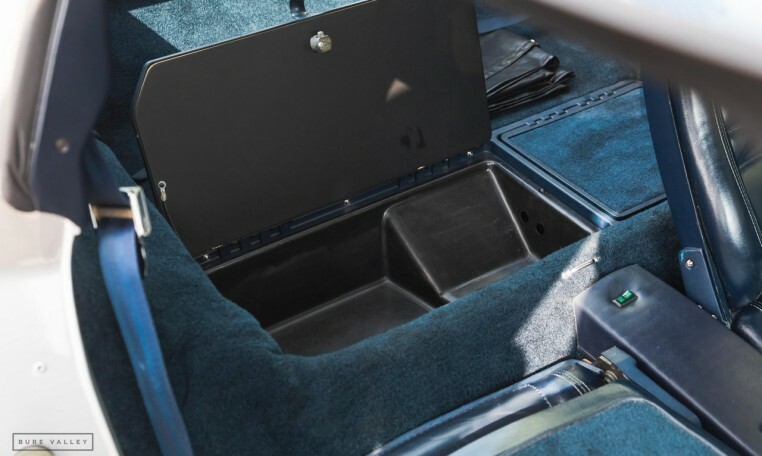 It has mirrored removable T-Tops, the bags for which are also present. 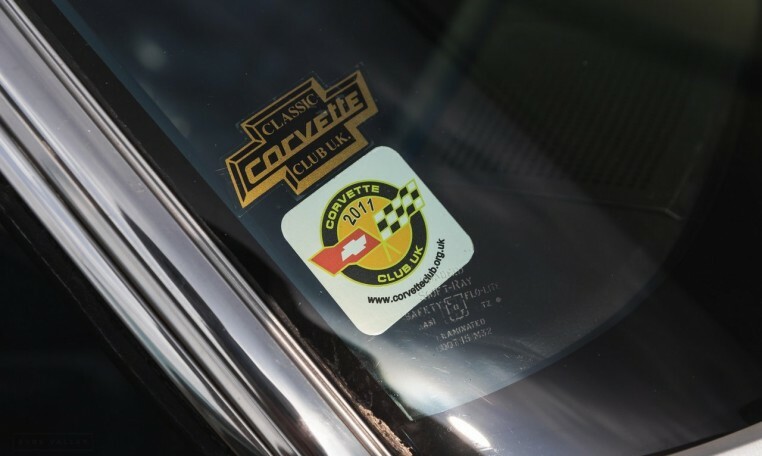 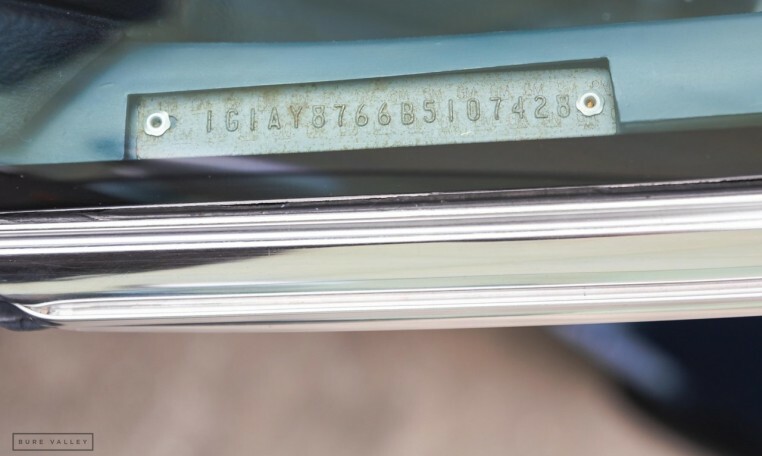 The car is supplied with full MOT with no advisory’s and has been on the road since its been here in the UK, with MOT certificates and tax discs going back to 1989 confirming the low mileage. 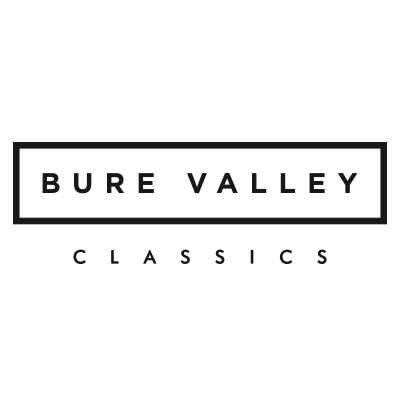 Over £7,000 worth of invoices are present in the history folder for various work carried out over the years it’s been in the UK. 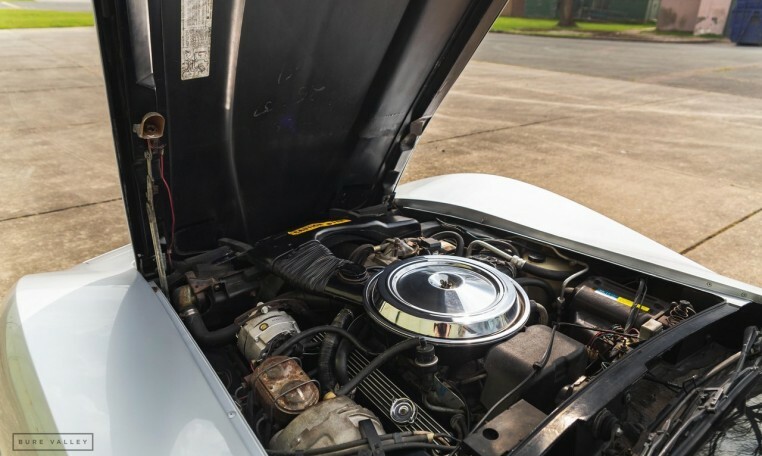 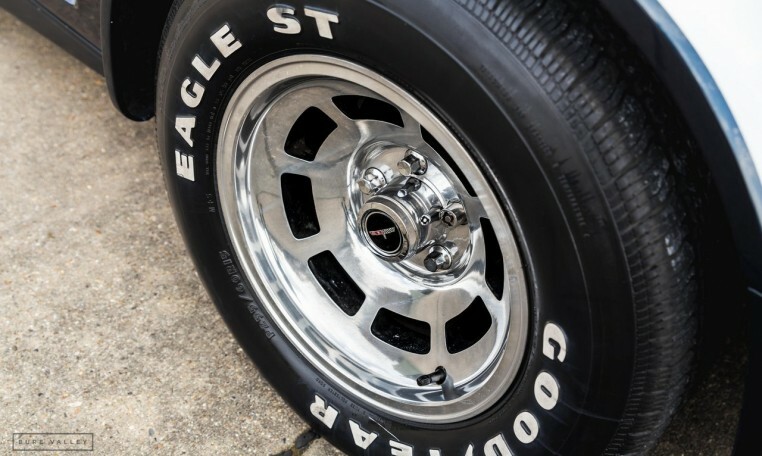 This includes a full brake system overhaul, new Magnaflow exhaust system, carb set-up, vacuum hoses, wiring loom repairs, belts, new alternator, tyres as well as general servicing. 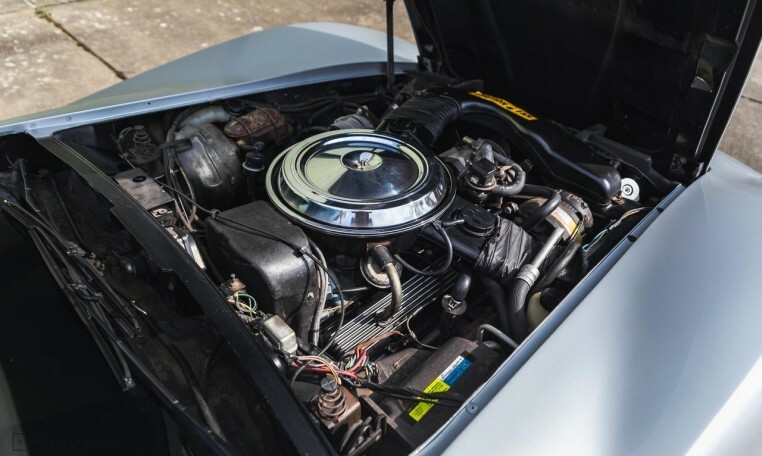 The car has just had an oil and filter service and at the same time had the rocker cover gaskets replaced. 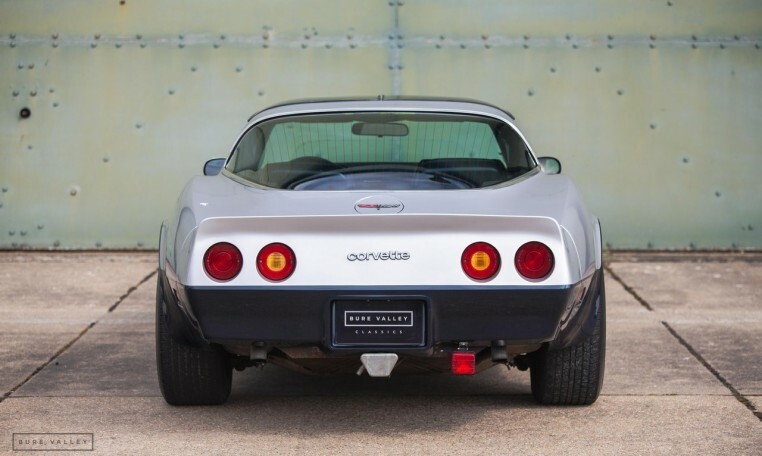 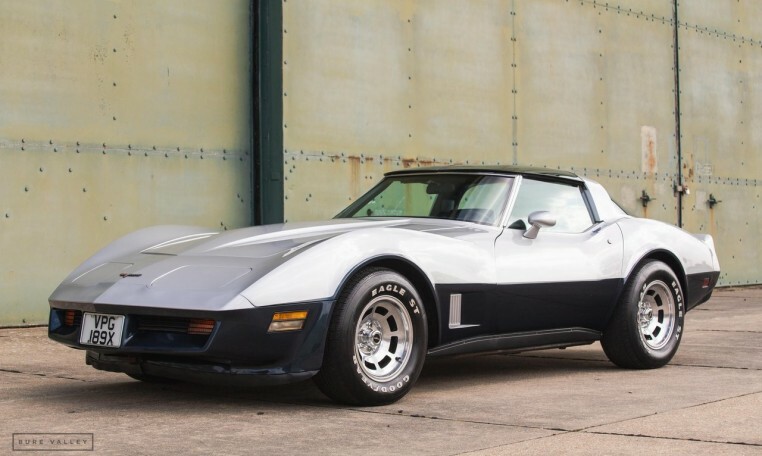 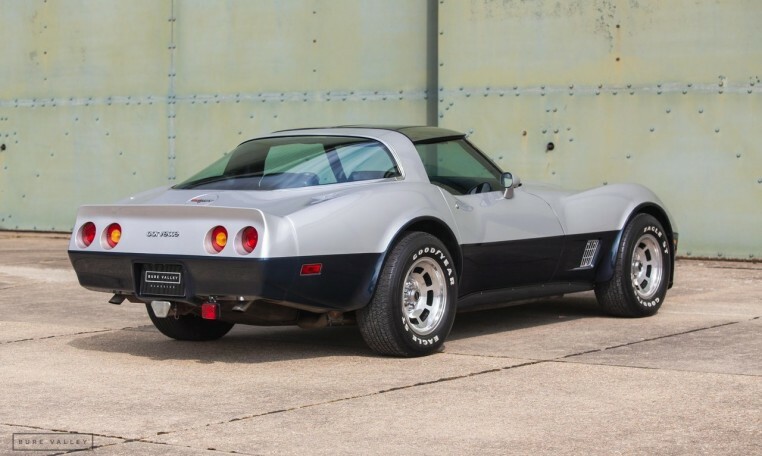 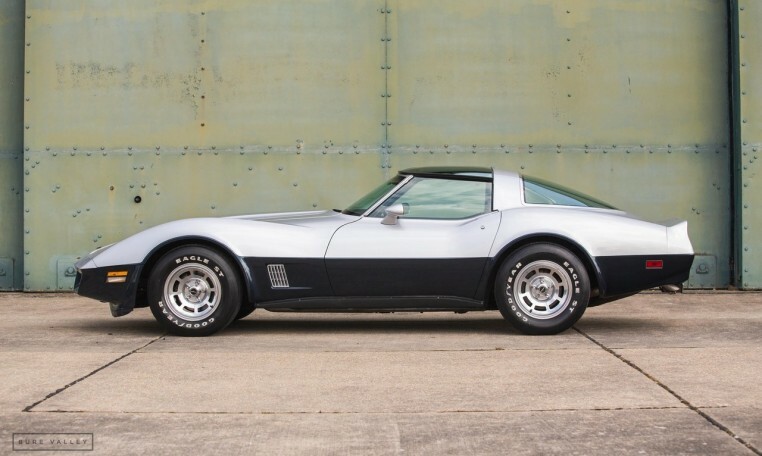 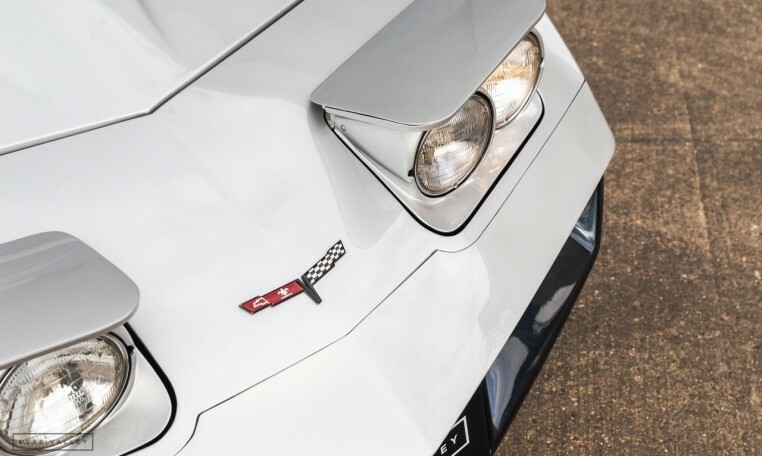 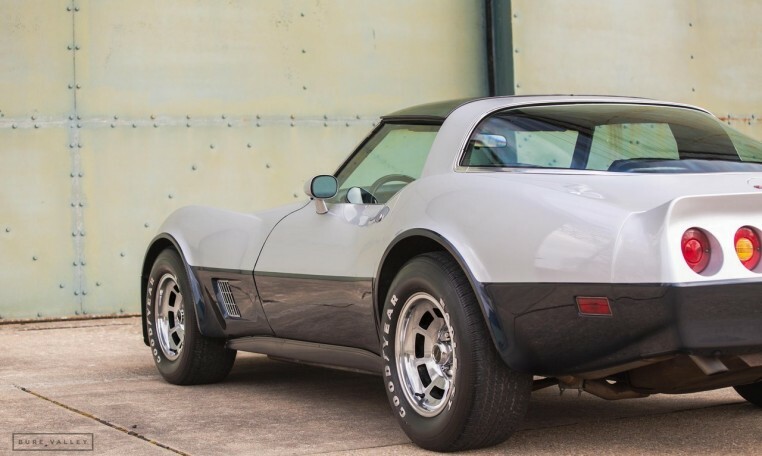 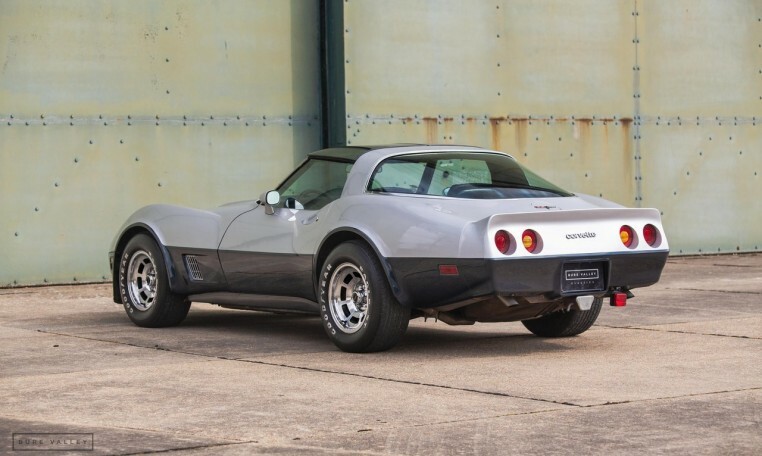 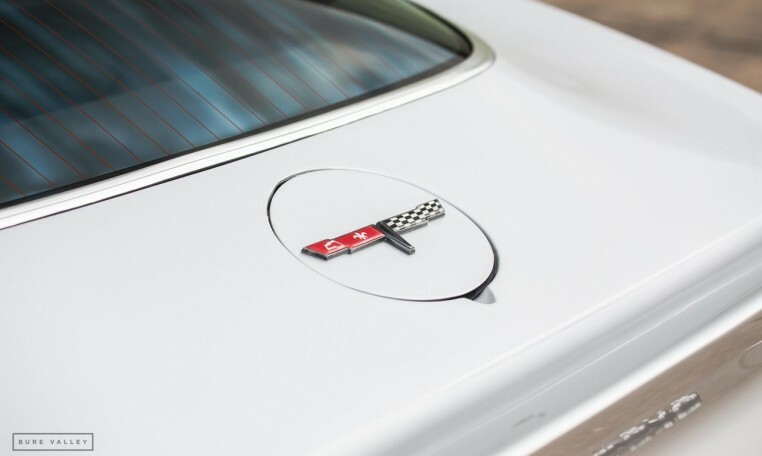 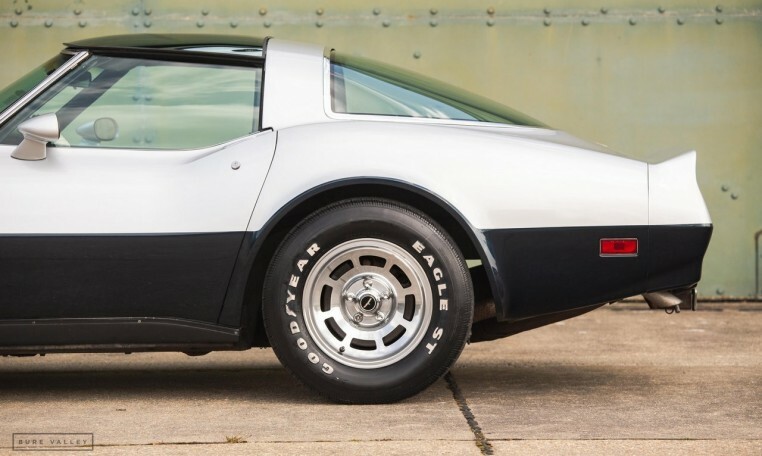 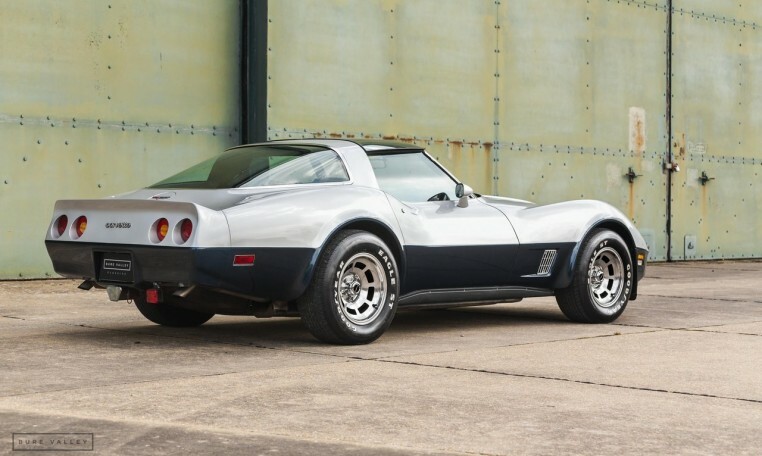 Overall a cracking Corvette with no known issues which is ready to be enjoyed by a new owner. 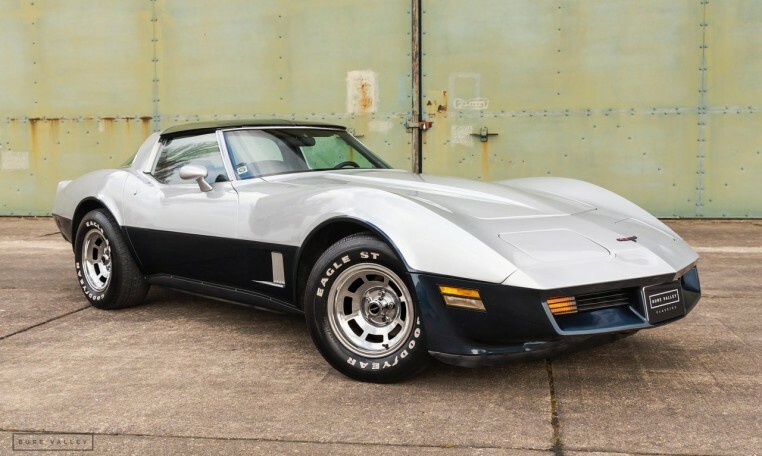 Ordered from new with the following spec: Four speed manual transmission, AC, Power door locks, Power drivers seat, Removable glass roof panels, Rear defrost, Custom two tone paint, Electric sports mirrors, Aluminium Wheels, Power antenna, AM-FM Stereo with cassette, White letter tyres, Trailer package, California emissions spec.